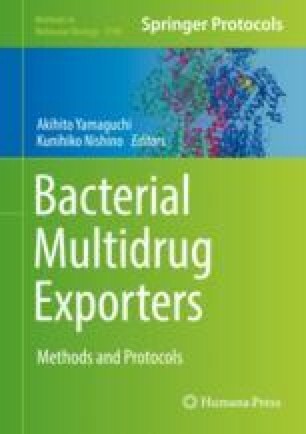 Efflux pumps of the resistance nodulation division (RND) superfamily are among the major contributors to intrinsic and acquired multidrug resistance in Gram-negative bacteria. Structural information on AcrAB-TolC and MexAB-OprM, major efflux pumps of Escherichia coli and Pseudomonas aeruginosa respectively, boosted intensive research aimed at understanding the molecular mechanisms ruling the active extrusion processes. In particular, several studies were devoted to the understanding of the determinants behind the extraordinary broad specificity of the RND transporters AcrB and MexB. In this chapter, we discuss the ever-growing role computational methods have been playing in deciphering key structural and dynamical features of these transporters and of their interaction with substrates and inhibitors. We further discuss and illustrate examples from our lab of how molecular docking, homology modeling, all-atom molecular dynamics simulations and in silico free energy estimations can all together give precious insights into the processes of recognition and extrusion of substrates, as well as on the possible inhibition strategies. Pierpaolo Cacciotto and Venkata K. Ramaswamy contributed equally to this work. The research leading to the results discussed here was partly conducted as part of the Translocation Consortium (http://www.translocation.eu/) and has received support from the Innovative Medicines Joint Undertaking under Grant Agreement no. 115525, resources, which are composed of financial contribution from the European Union’s Seventh Framework Programme (FP7/2007-2013) and EFPIA companies in kind contribution. VKR is a Marie Skłodowska-Curie fellow within the “Translocation” Network, project no. 607694.